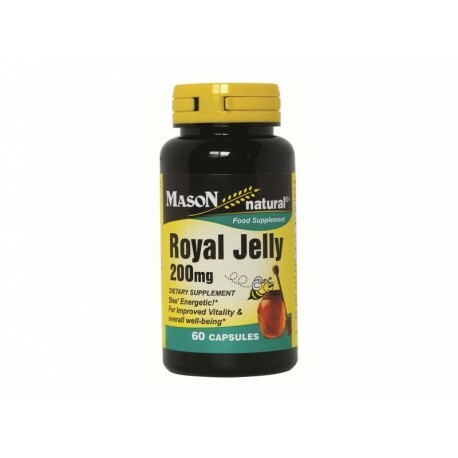 Royal Jelly is a product of high biological value. Contains the basic components required for the development of a living organism. For Improved Vitality & Overall Well-being. Sugar, Starch, Sodium, Yeast, Soy, Corn, Wheat, Dairy, Gluten, Egg, Fragrance, Artificial Colors or Flavors and Preservatives. Adults, take one capsule daily as a dietary supplement, preferably with a meal.